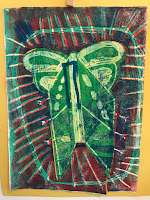 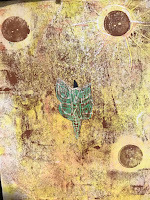 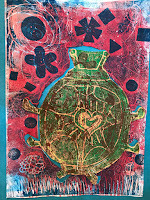 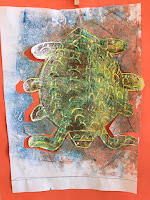 I am having a fantastic summer teaching kids at the Summer Spree art camp at the Community Arts Center in Wallingford. 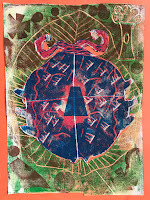 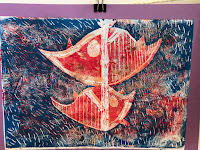 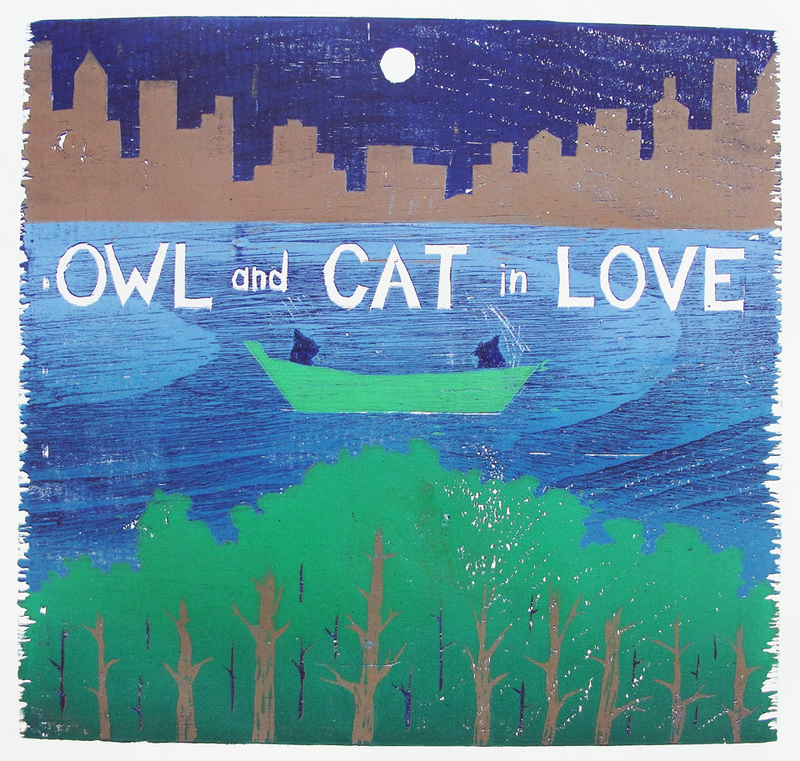 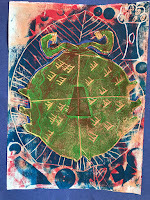 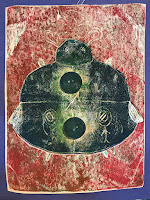 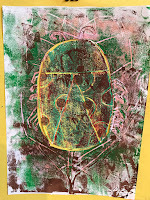 This is a set of relief prints made with foam boards made by 5th and 6th graders. 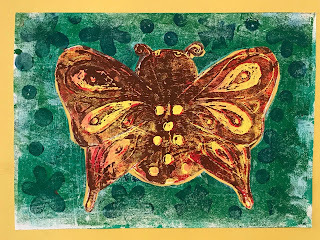 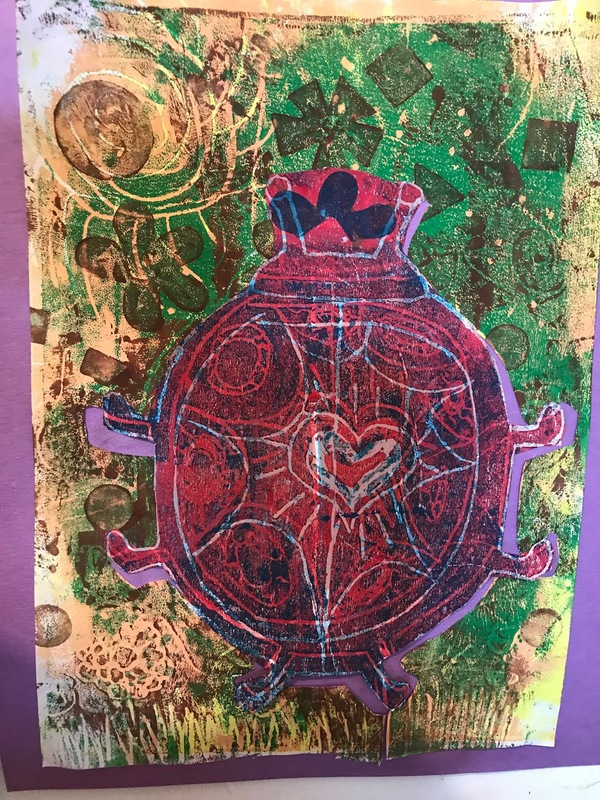 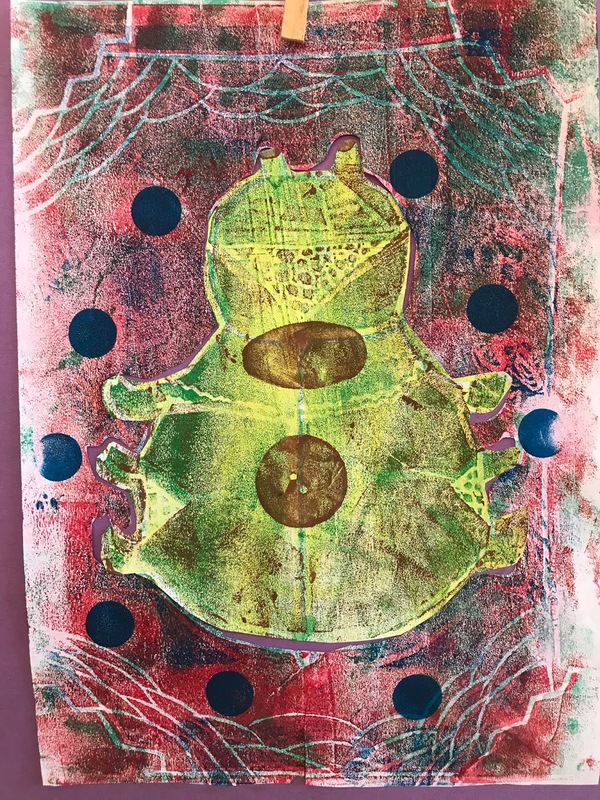 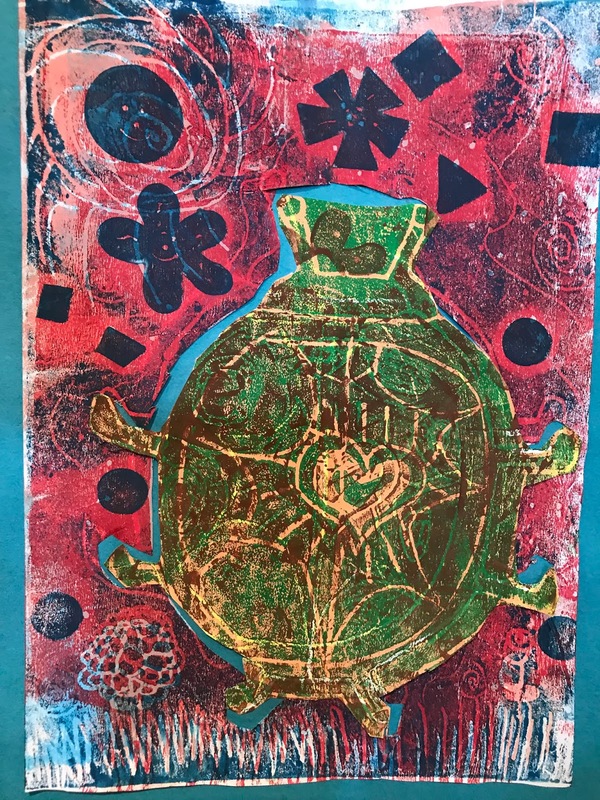 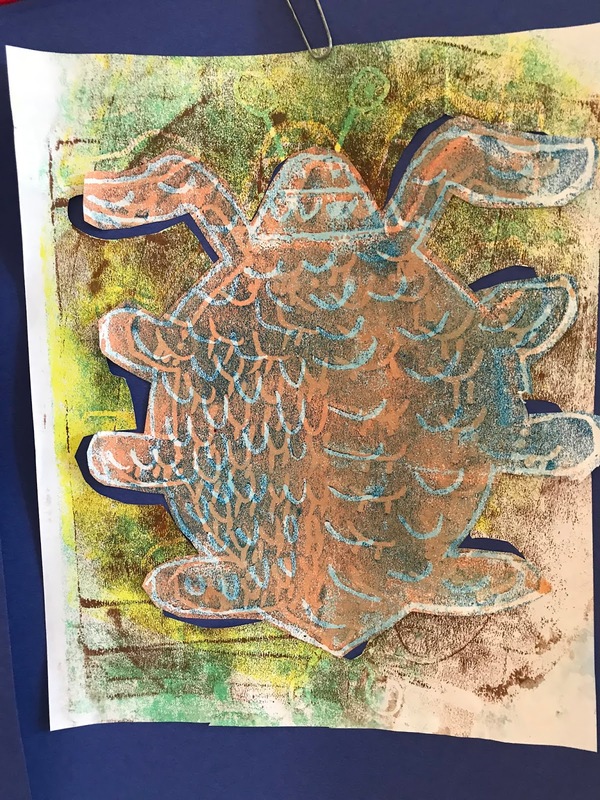 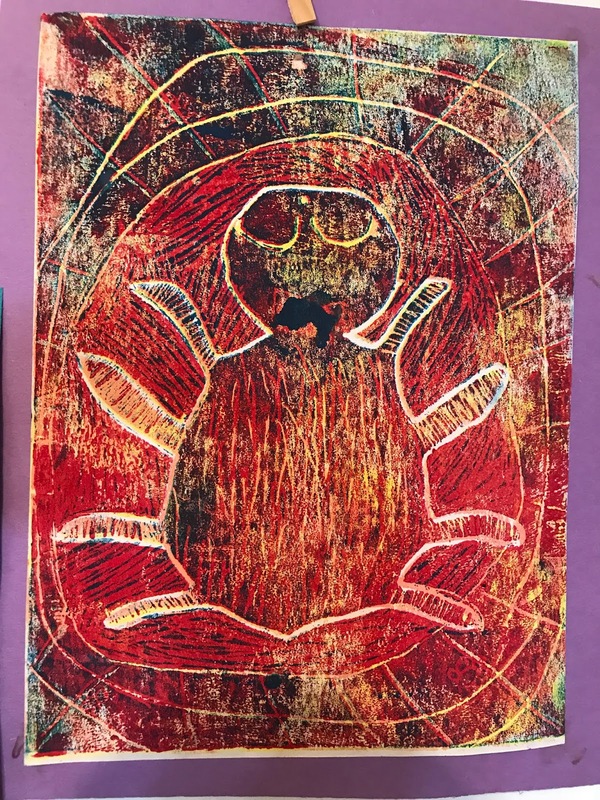 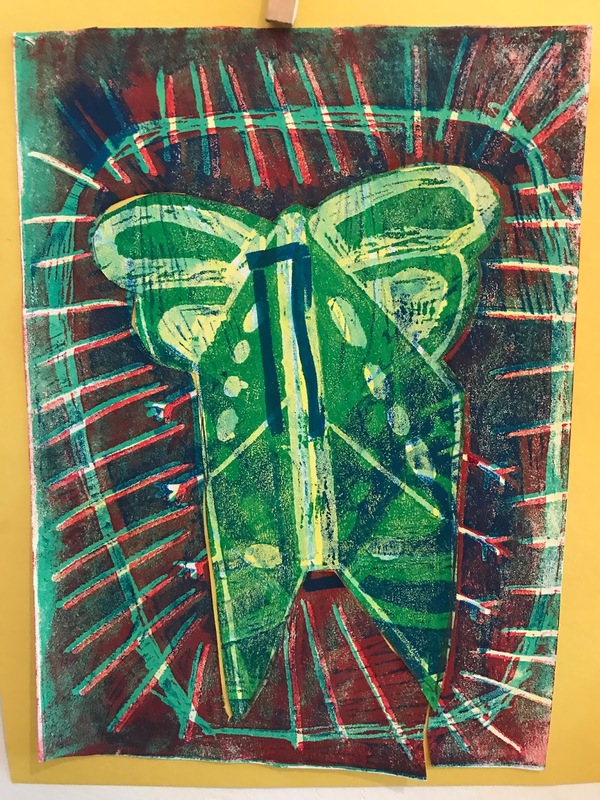 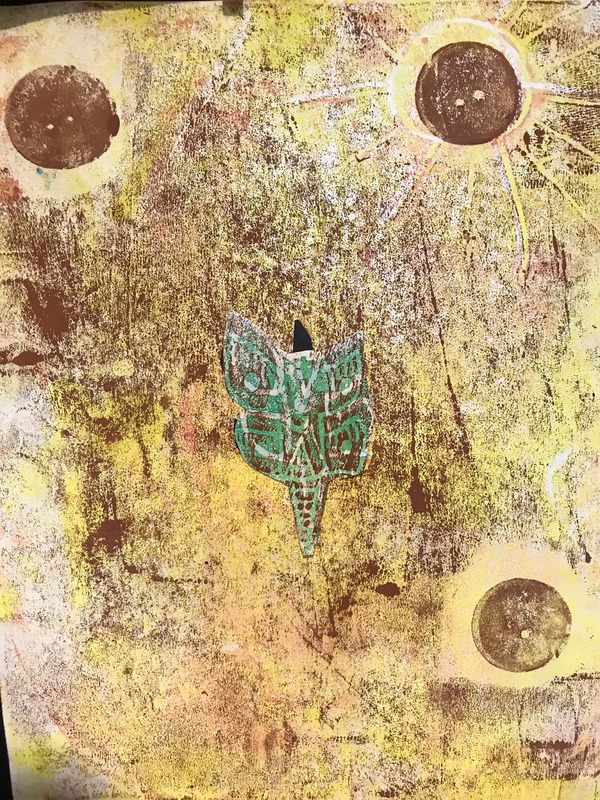 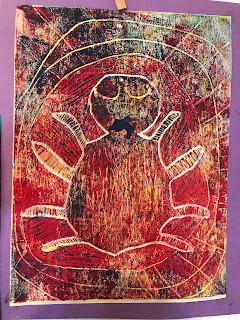 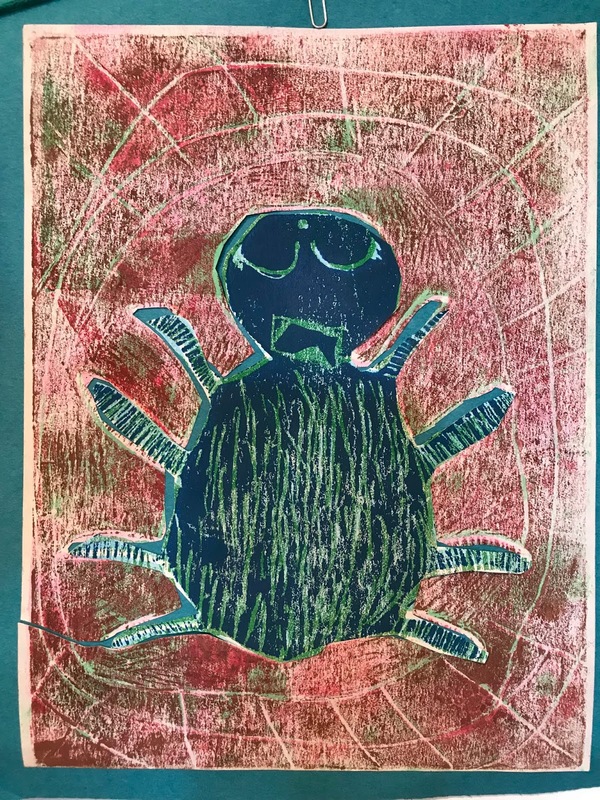 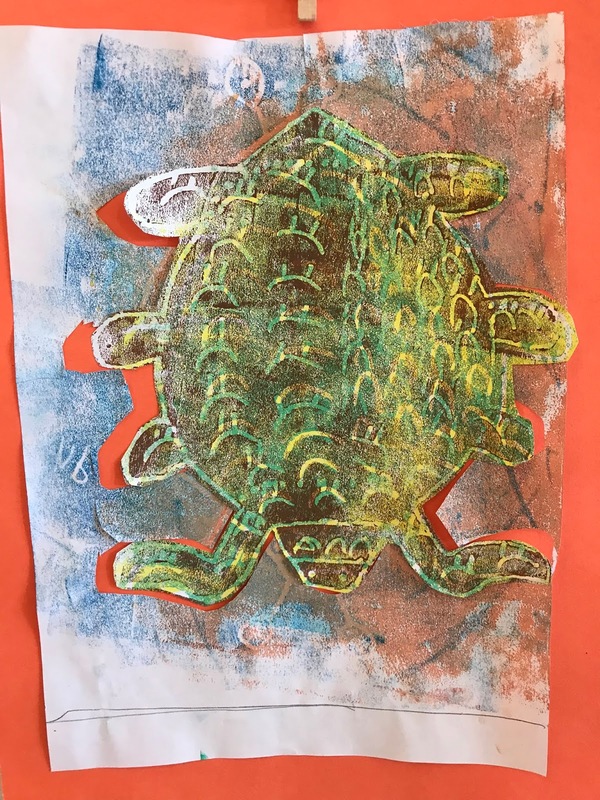 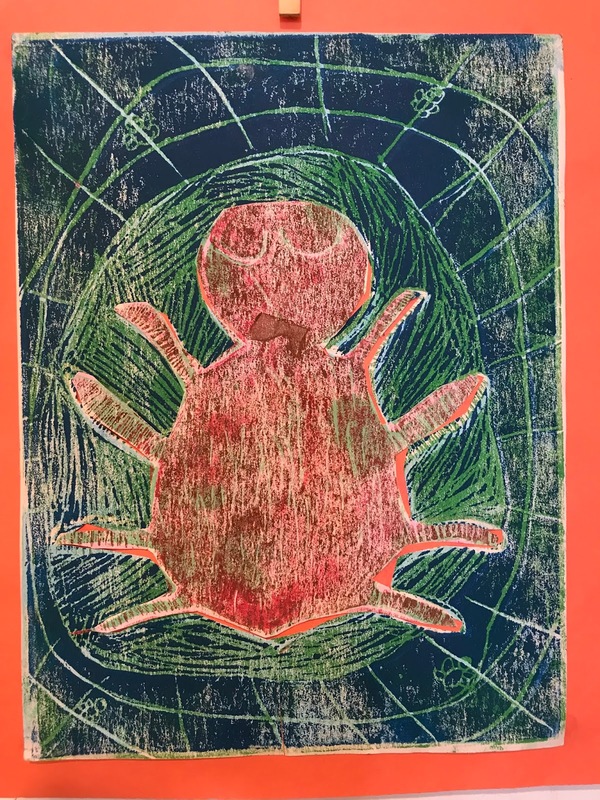 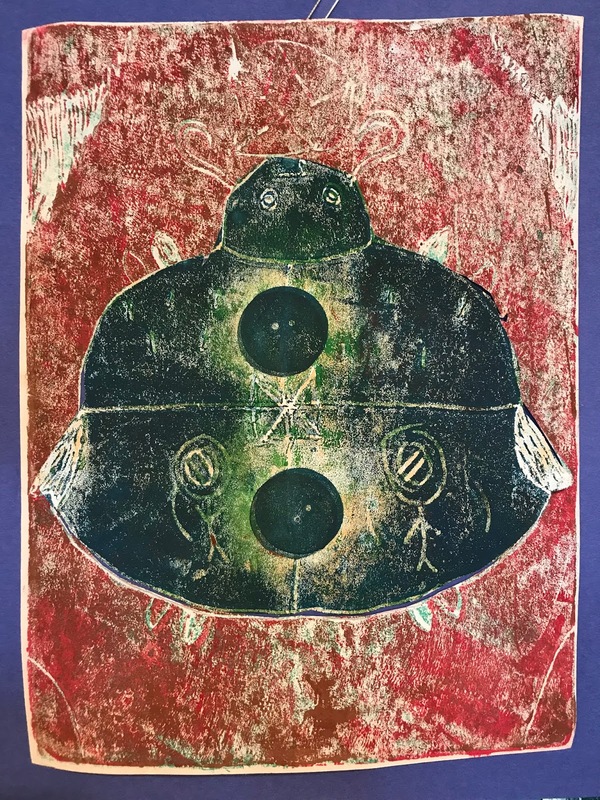 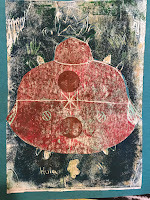 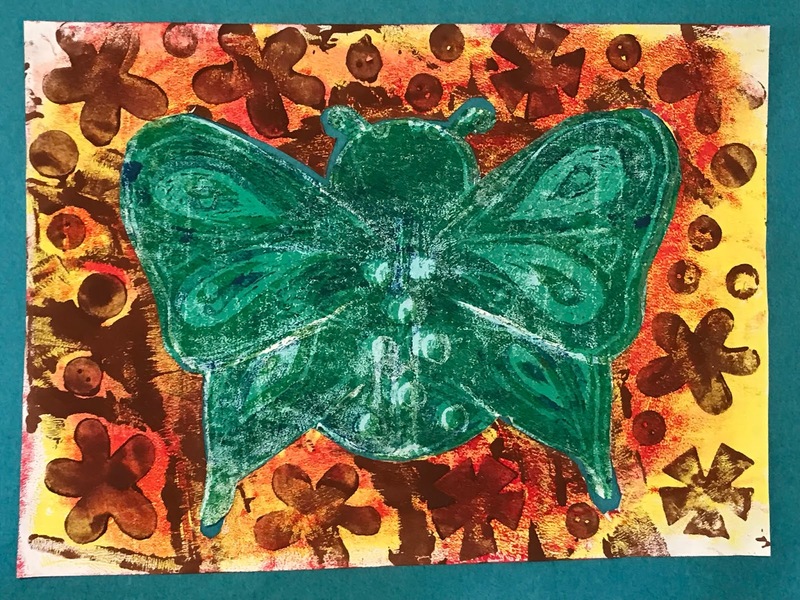 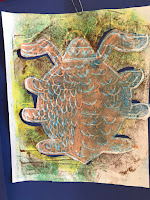 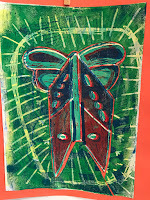 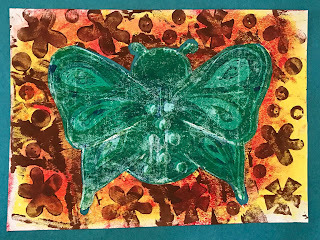 I had the kids draw bugs from their imagination into the foam and we printed 4 layers of color, adding pieces of foam or scratching in more marks and darkening the color of ink with each new layer. 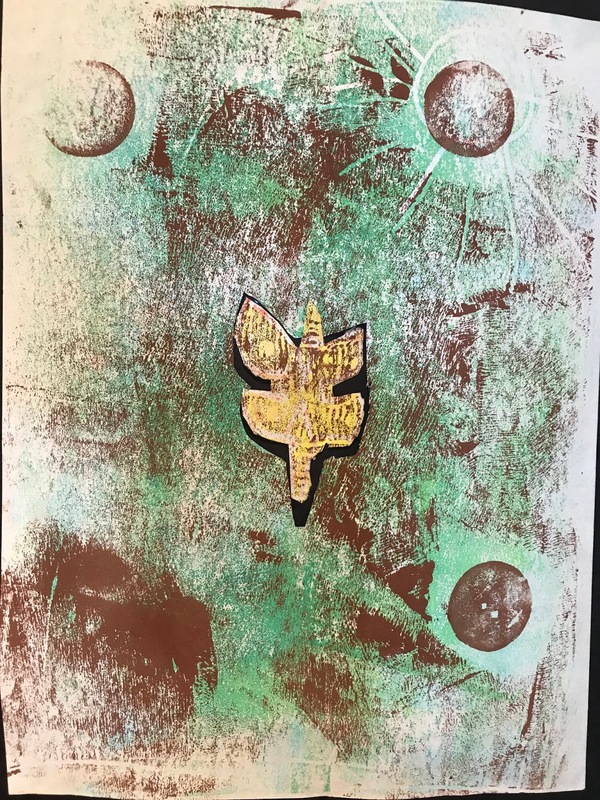 We were originally planning a 5th layer in black, but the effects up until that point were so fantastic and we feared accidentally covering what was already there. 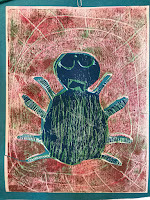 So we switched up plans and decided to emphasize the colors and textures by cutting out and swapping the bugs and backgrounds printed in different color schemes. 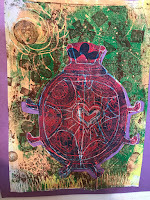 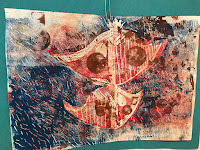 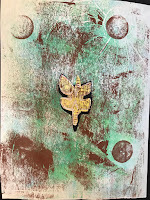 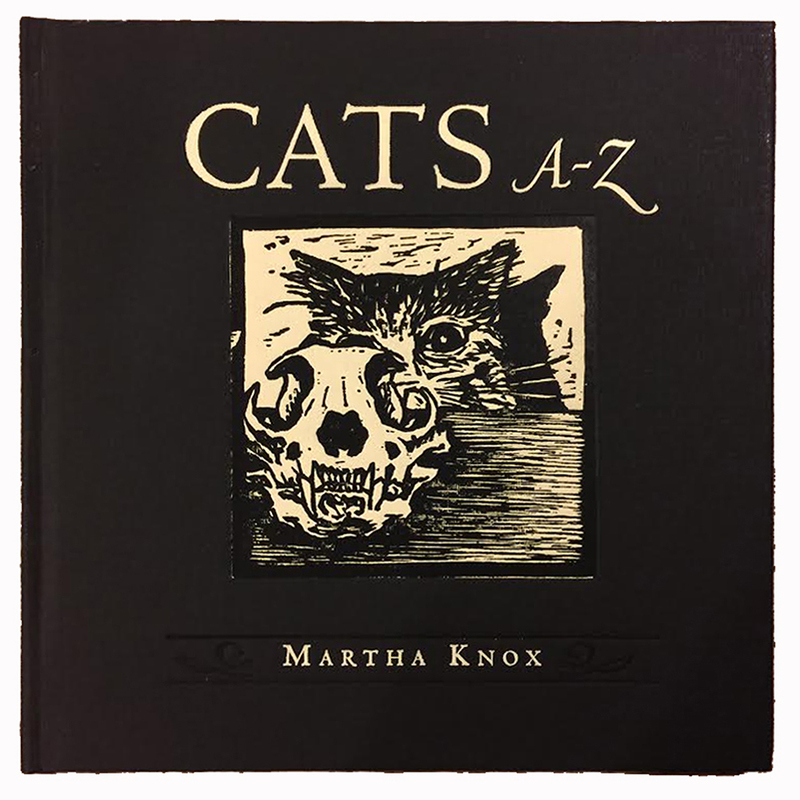 What I love best about teaching at CAC is the ability to experiment with new project ideas and change plans in the middle based on what happens with the kids in the studio. 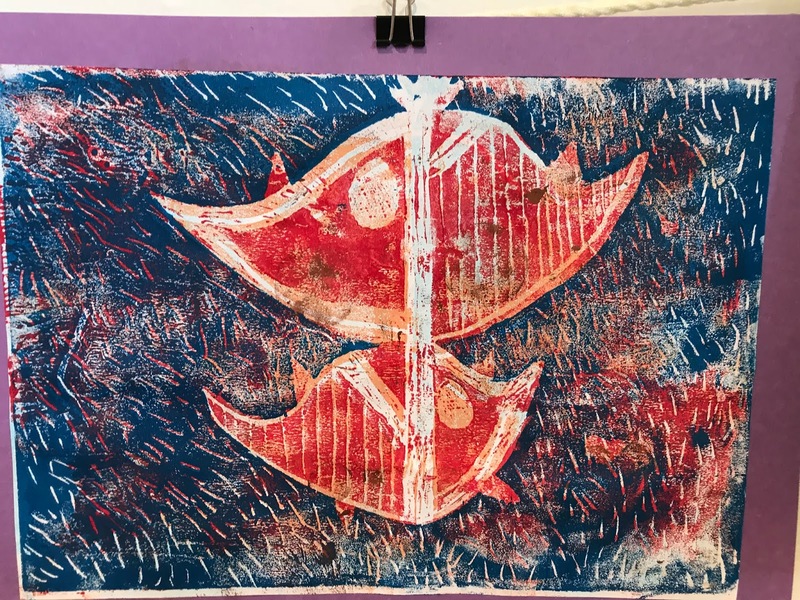 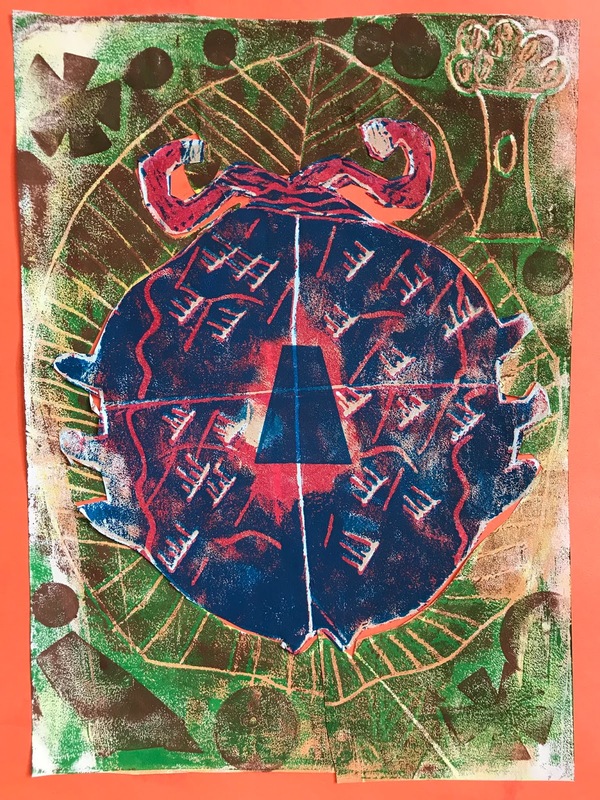 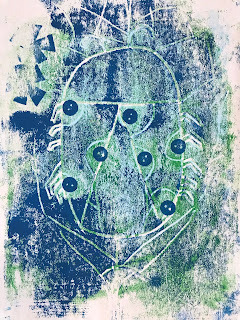 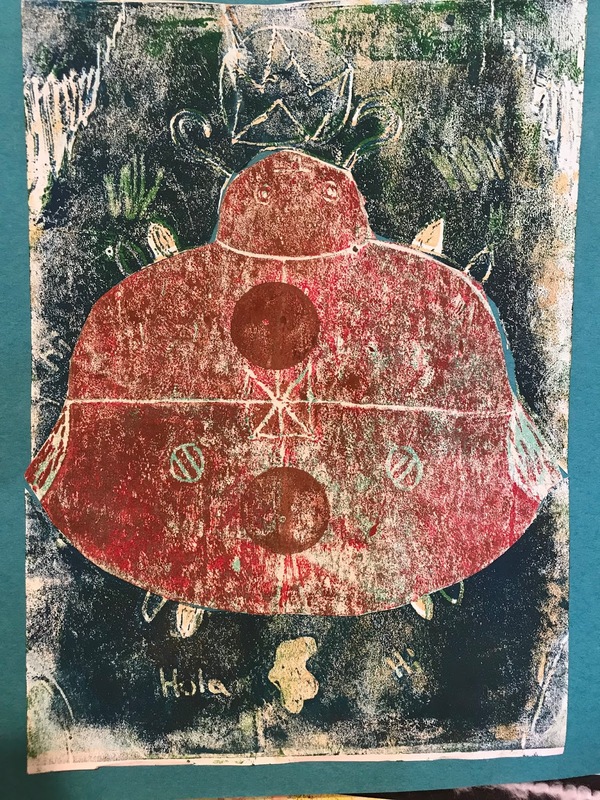 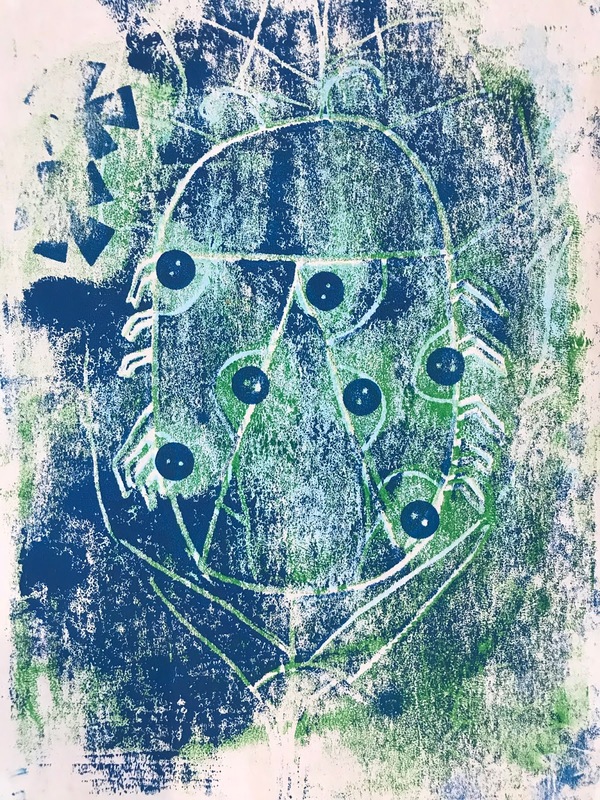 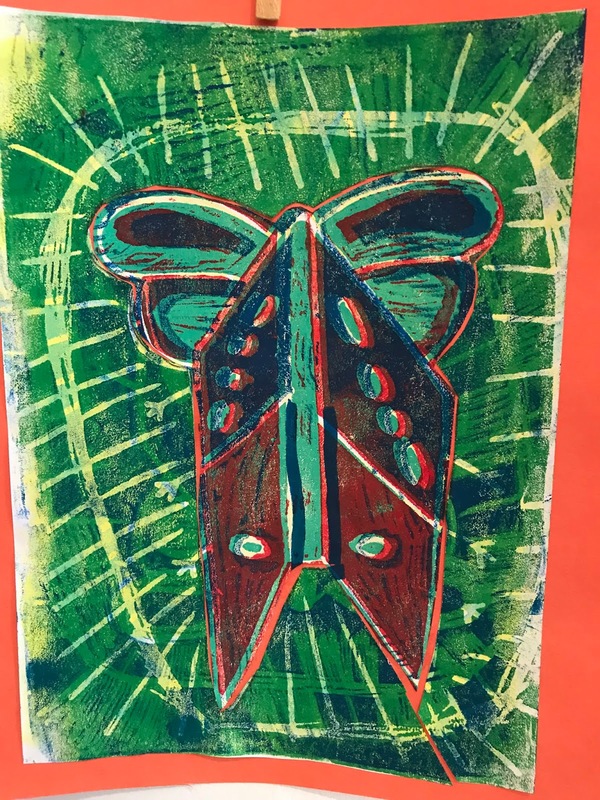 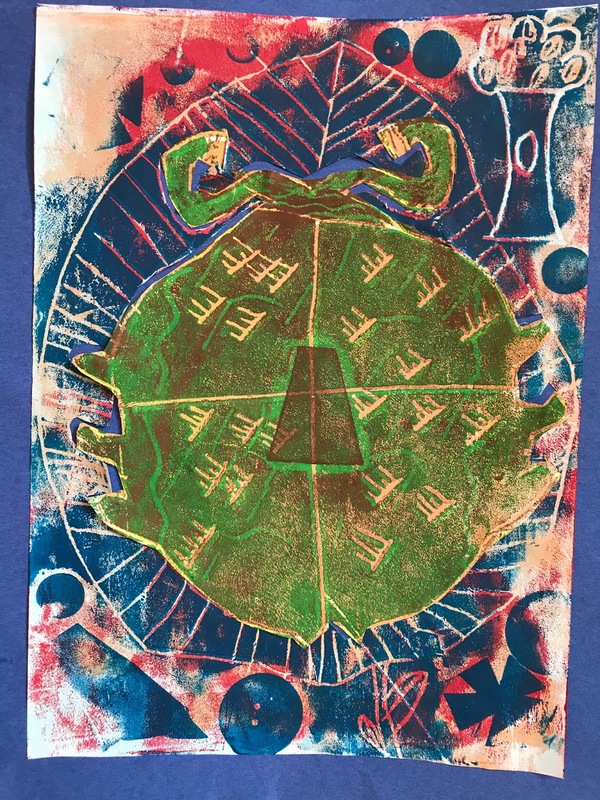 These are probably the best prints by students I've worked with since the reduction prints I did with 6th graders at Kearny 2 and a half years ago. 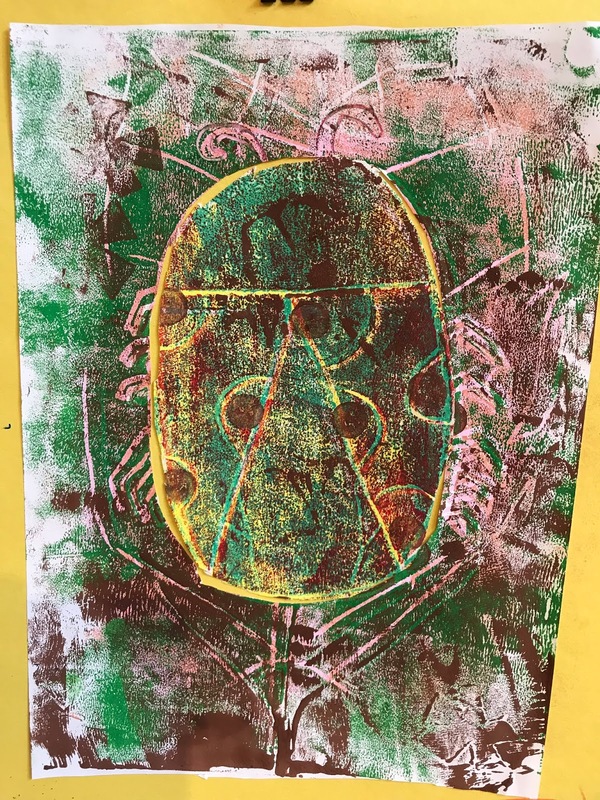 Children's artwork can be amazing! 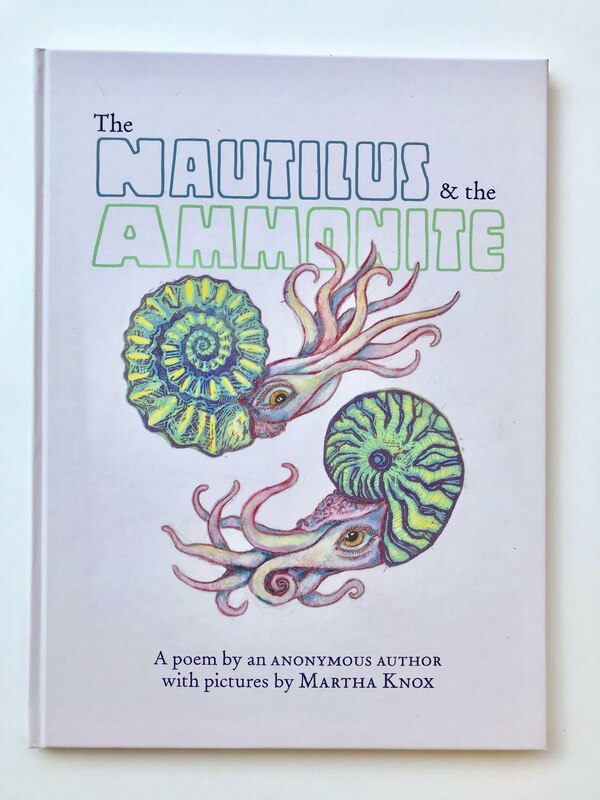 The Nautilus and the Ammonite is now for sale!